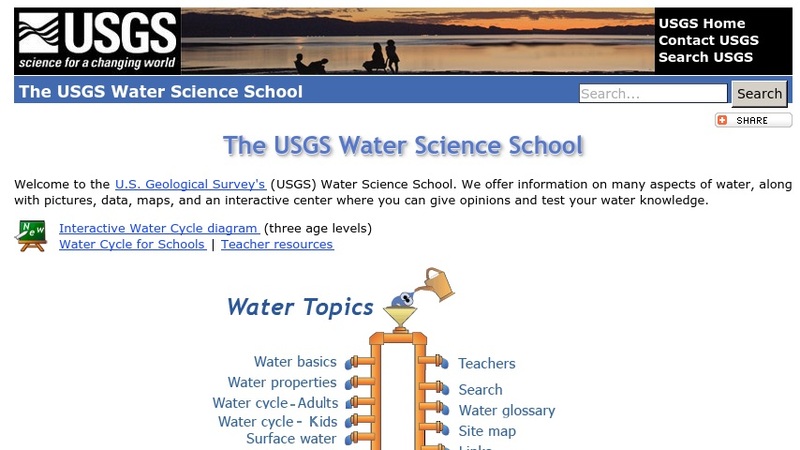 This site offers information on many aspects of water, including text, pictures, data, maps, and an interactive center where users can offer opinions and test their water knowledge. Main topics include: water basics, Earth's water, water use, and special topics such as acid rain, saline water and other water-quality issues. Links to other water-related sites are also provided.